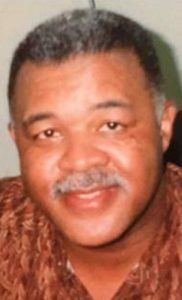 Home G: Obituaries Obituaries: Stephen A. Bailey Sr. It is with heavy hearts, that we must announce the home going of Stephen A. Bailey Sr. (AKA: Cut). Stephen, peacefully, passed away on March 23rd, 2017 in Douglasville, Georgia. He was born in Coatesville, Pennsylvania to Claude and Thelma Bailey on December 10th, 1948. A veteran of the U.S. Army (Vietnam War), Stephen’s military experience led him to a career with the Veteran’s Administration Hospital, where he served for over 30 years. He is survived by his wife, Patricia Bailey; his siblings, Constance Baxter, Maxine Bailey, Frank Bailey, and Jennifer Bailey; his children, Lashonn Pinkney, Monique Duvall, Dana Brown, Daniel Hawk, Stephen Bailey Jr., Michael Duvall, and Stephanie Bailey; his 17 grandchildren, 10 great‐grandchildren, and a host of in‐laws, cousins, nieces, nephews, and friends. He will forever be loved! In accordance with his final wishes, there will be no services held.